Minister of Power, Works and Hosuing, Babatunde Fashola, Sokoto state Governor Aminu Tambuwal and Rivers state Governor Nyesom Wike were all the opening ceremony of the Nigerian Bar Association 2017 Annaul General Conference. Representative of the Vice President and Hon. Minister of Power, Works & Housing, Mr Babatunde Fashola,SAN (right), Governor of Sokoto State, Hon. 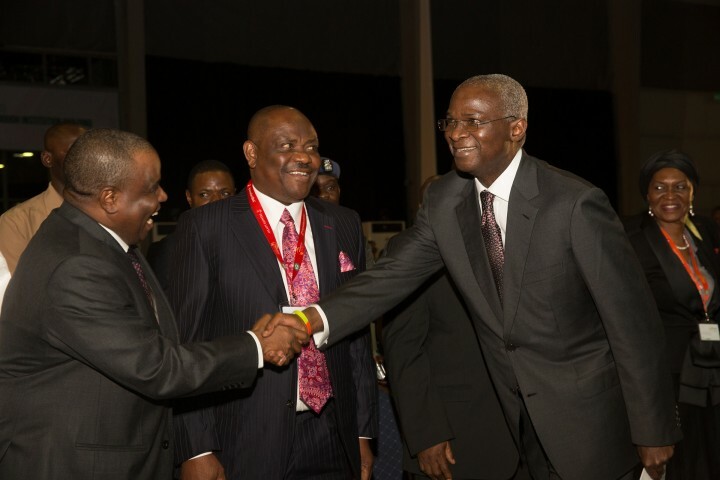 Aminu Waziri Tambuwal (left) and Governor of Rivers State, Chief Nyesom Ezenwo Wike (middle) during the Opening Ceremony of the Nigerian Bar Association 2017 Annual General Conference with the theme, ”African Business: Penetrating Through Institution Building”, at the Landmark Centre, Eti – Osa, Lagos on Sunday 20th, August 2017. Representative of the Vice President and Hon. 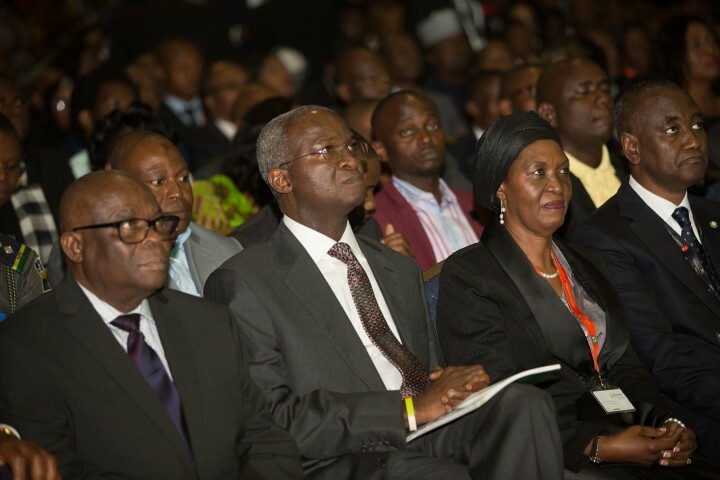 Minister of Power, Works & Housing , Mr Babatunde Fashola,SAN (2nd left), Chief Justice of Nigeria, Justice Walter Onoghen (left) , President, Nigerian Bar Association, Mr Abubakar Balarade Mahmoud, SAN (right) and Justice Patricia Mahmoud (2nd right) during the Opening Ceremony of the Nigerian Bar Association 2017 Annual General Conference with the theme, ”African Business: Penetrating Through Institution Building”, at the Landmark Centre, Eti – Osa, Lagos on Sunday 20th, August 2017. Representative of the Vice President and Hon. 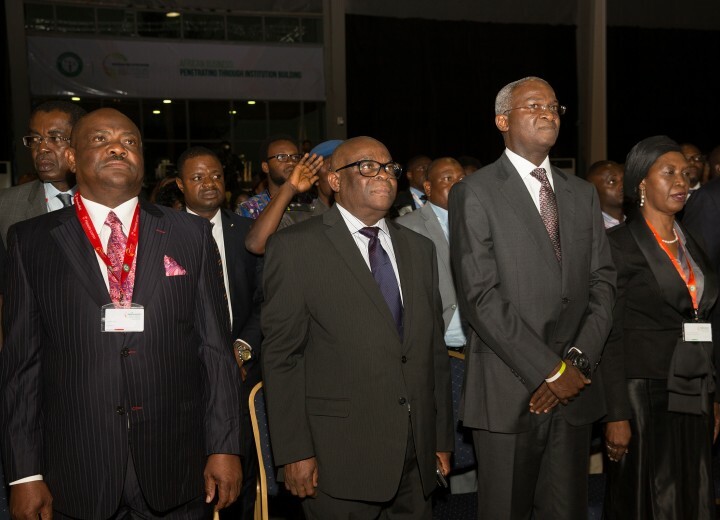 Minister of Power, Works & Housing, Mr Babatunde Fashola,SAN, (2nd right), Chief Justice of Nigeria, Justice Walter Onoghen(2nd left), Governor of Rivers State, Chief Nyesom Ezenwo Wike (left) and Justice Patricia Mahmoud(right) during the Opening Ceremony of the Nigerian Bar Association 2017 Annual General Conference with the theme, ”African Business: Penetrating Through Institution Building”, at the Landmark Centre, Eti – Osa, Lagos on Sunday 20th, August 2017. Representative of the Vice President and Hon. 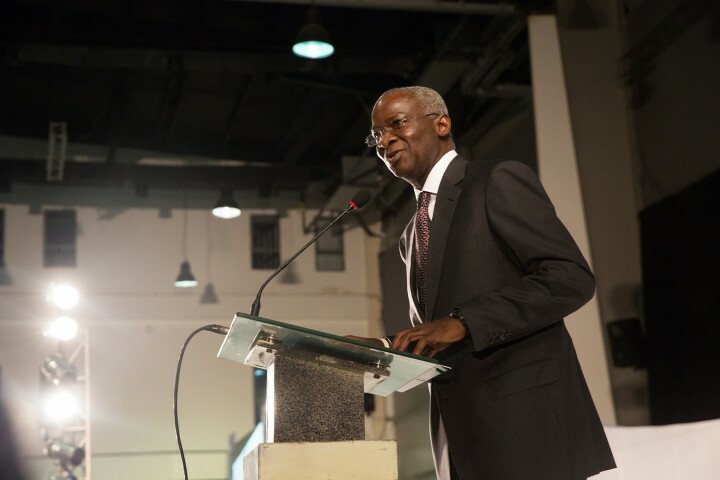 Minister of Power, Works & Housing, Mr Babatunde Fashola,SAN delivering the Vice President’s Keynote Address during the Opening Ceremony of the Nigerian Bar Association 2017 Annual General Conference with the theme, ”African Business: Penetrating Through Institution Building”, at the Landmark Centre, Eti – Osa, Lagos on Sunday 20th, August 2017.